Can you believe that next weekend is Halloween? I haven’t seen summer go by, its crazy how time flies. 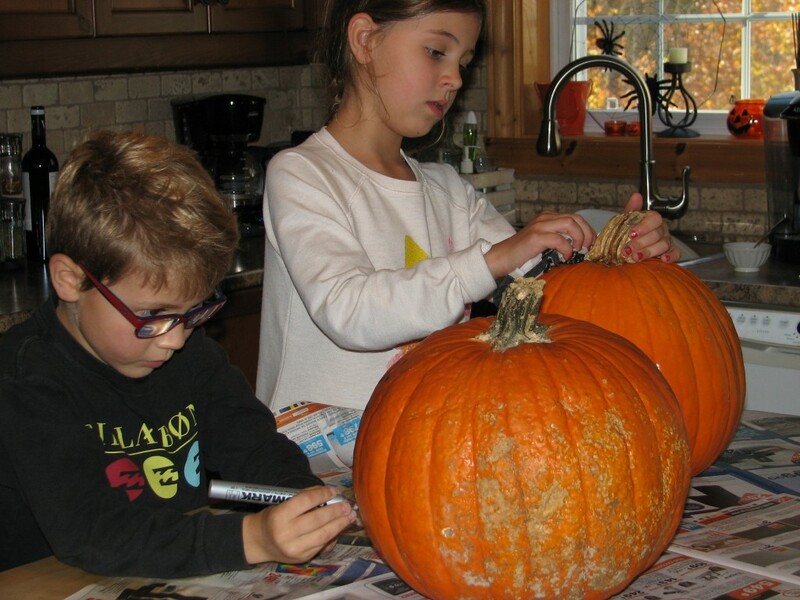 Last weekend my kids and I carved pumpkins, like we love to do each year. I do the traditional easy pumpkin carving, I have many talents but pumpkin carving is not one of them. My kids draw a face on the pumpkin, and I try the best that I can to follow their design. Our favourite part about pumpkin carving is of course seeing the finished result, but also making roasted pumpkin seeds. 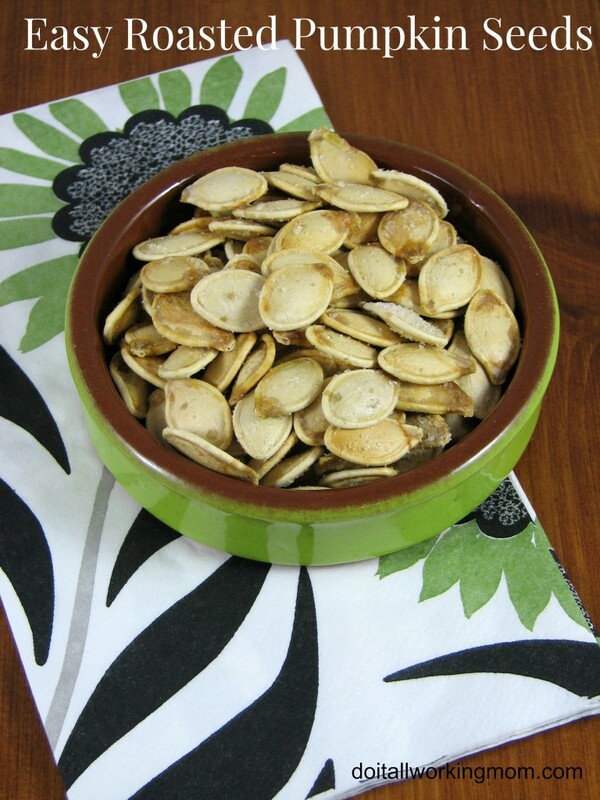 We love roasted pumpkin seeds, and I’m sharing with you today a quick and easy way to make them. 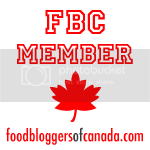 Remove seeds from pumpkin and place in a colander. 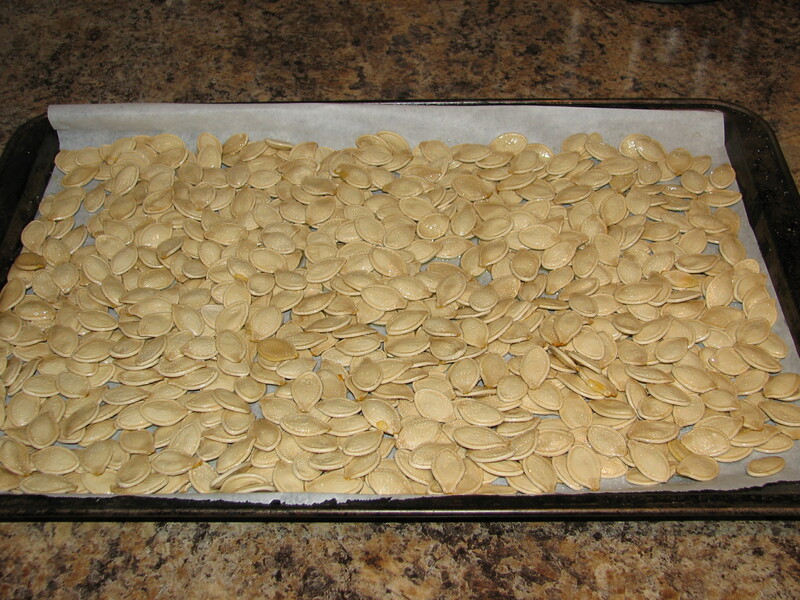 Rinse well until the pumpkin seeds are clean. Spread the pumpkin seeds on the parchment paper. Sprinkle about 1 tablespoon of olive oil over the seeds, and toss the seeds around with your hands to coat them with the olive oil. Sprinkle the salt and toss again. Place the seed in the oven and cook for about 20 minutes or until seeds are lightly golden. Toss them every 5 minutes (set a timer). 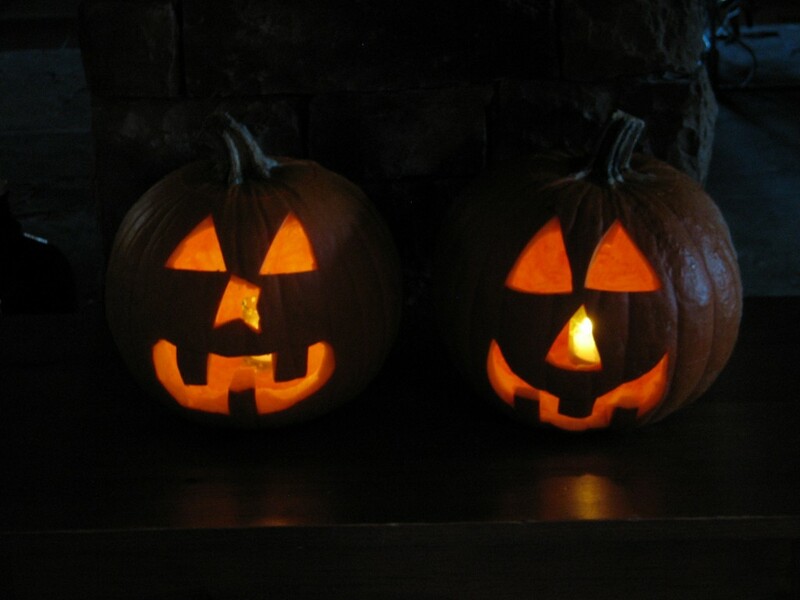 Do you like our pumpkins?